Thor was a very odd movie to conceptualize. Justin and John talk about if it was pulled off and how it relates to a bigger picture: The Avengers. Join them, along with the god of thunder and the god of mischief. Let us know how you felt about Thor. Marvel’s latest outing is Thor’s second stand-alone film, taking place mostly in Asgard with the hammer swinging superhero (Chris Hemsworth) trying to save not only his home but all nine realms from seeing destruction at the hands of the new villain Malekith. Malekith is a dark elf, a race thought to be extinct until the alignment of the nine realms, known as the Convergence, awakens him. The plot’s a little more complicated than it needs to be, but that adds to the fantasy element, I suppose. 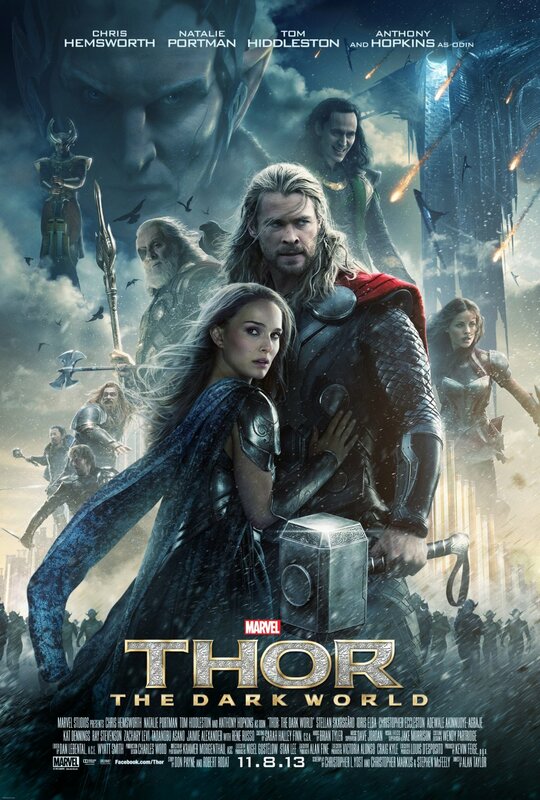 Jane Foster (Natalie Portman) accidentally discovers an evil substance known as the Aether, which possesses her body making her Malekith’s number one sought after human (He needs the Aether to destroy the nine realms during the Convergence). Thor, in an attempt to protect her and try to remove the Aether from her, takes her to Asgard. When the plan starts to fall apart, Thor turns to his brother Loki (Tom Hiddleston), who has been locked up in Asgard’s dungeon, for help. Since the film takes place mostly on Asgard, the film tends to be one giant CGI-fest but thankfully never crosses the line too much. It’s never overwhelming. There’s a lot of humor in the film to balance it out and Thor and Loki’s chemistry is quite good. The villain Malekith, played by Doctor Who‘s Christopher Eccleston, is a tad bit bland. He wants to destroy the nine realms but for what reason? Because he was defeated in battle so many years ago? Perhaps I missed the explanation for that but I honestly can’t remember why he wants to destroy the universe. And what’s his plan afterwards? Float around in nothingness? One of my favorite elements of this Thor sequel is the time given to the side characters. Heimdall, played by Idris Elba, especially gets his time to shine. Along with Jaimie Alexander’s Sif, Rene Russo as Thor’s mother Frigga, Zachary Levi as Fandral and Anthony Hopkins as the King of Asgard: Odin. I have to admit that I enjoyed the original Thor a bit more than the second installment but I still had a good time watching it. Keep an eye out for a fun cameo and be sure to stick around through the credits. I give Thor: The Dark World a B+. The guys talk about Steven Spielberg’s 2002 film Minority Report. Why? John explains at the beginning. Plus, expect some love for Mr. Spielberg and a little talk about Michael Crichton. It’s the end of an era. 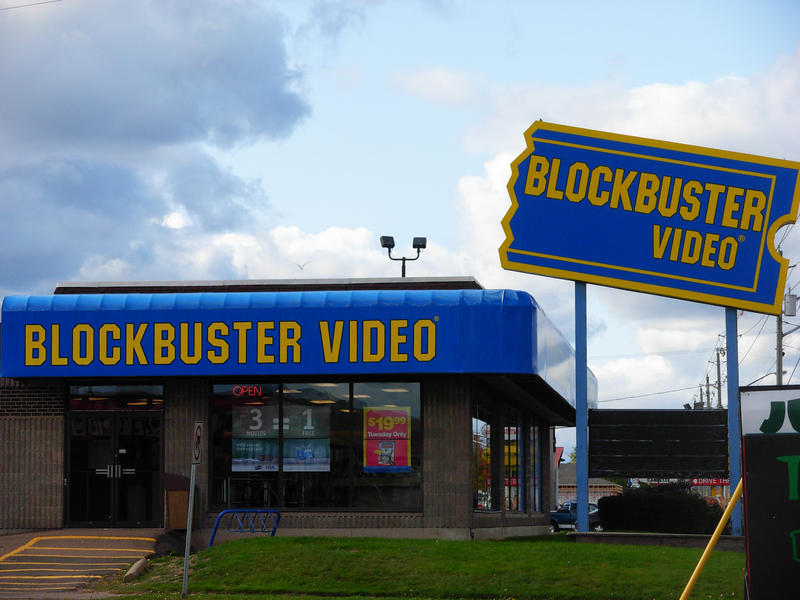 The days of video store movie rentals is coming to a close as Blockbuster Video has announced that it will close the remainder of their stores by early 2014. We all knew this was coming. Most of the stores have already closed. It’s a bit surprising really that it’s taken this long for the rest of them to finally close their doors. Still, it saddens me. I used to love going to Blockbuster as a kid and looking for video tapes to rent before the days of by-mail and streaming. If you wanted a new release and it was all checked out, there was nothing you could do except wait and hope it was there when you returned whatever it was you’d rented in its place. Now, you don’t even have to leave your home to rent new movies with services like Netflix and Vudu.